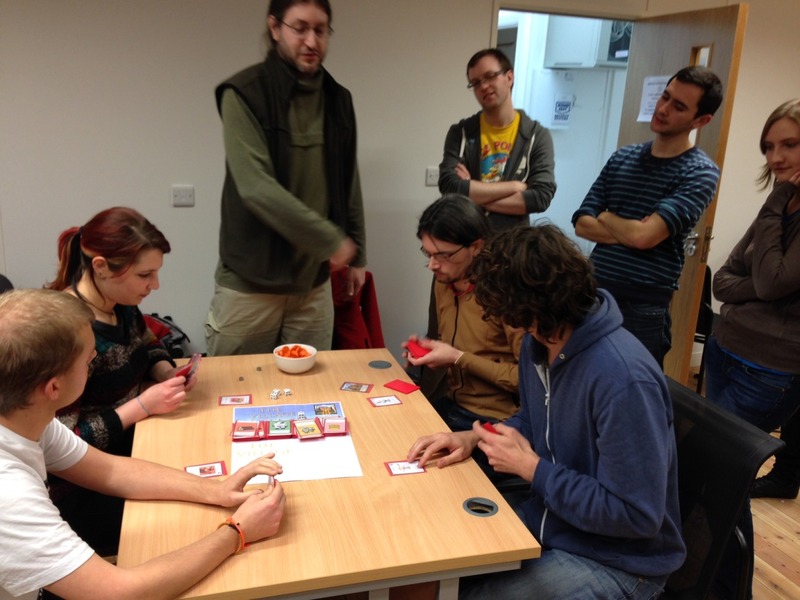 We’d like to thank all who took part in our first ever Board Game Jam and the first game jam hosted at the Hub’s base in Stokes Croft. The event was a huge success with people traveling from far and wide to take part (kudos to those who traveled from Brighton and Cambridge to join in!). We have 5 team of developers who created 5 amazing games made on the theme of ‘Winter’ created and a huge amount of energy, creativity, meeples and sweets to go around.